This blog site is focused on all the Book Shops and Booksellers in Southern California that are now only memories, lost in the mists and twists of time and circumstance. It will also cover events taking place in the remaining bookshops. I invite anyone to post a comment with photos and information on the book shops, book fairs, and booksellers of old. Booksellers are encouraged to post their memories of the colorful characters, both bookmen and collectors, whom they have encountered along the way. I dedicate this site to a very fine man, without whose help this site would not have been possible: Mr. Tom Lesser. Tom is the gentleman who started the great Paperback Collectors Show held in Mission Hills, California every year. The Paperback Show started out in a little “Pavillion” on the old mall in downtown Burbank, and moved to Mission Hills when the Burbank area went under the wrecking ball. Tom is himself an astute book collector, and has owned some of the greatest of the collectable paperback first editions, if not all of them. 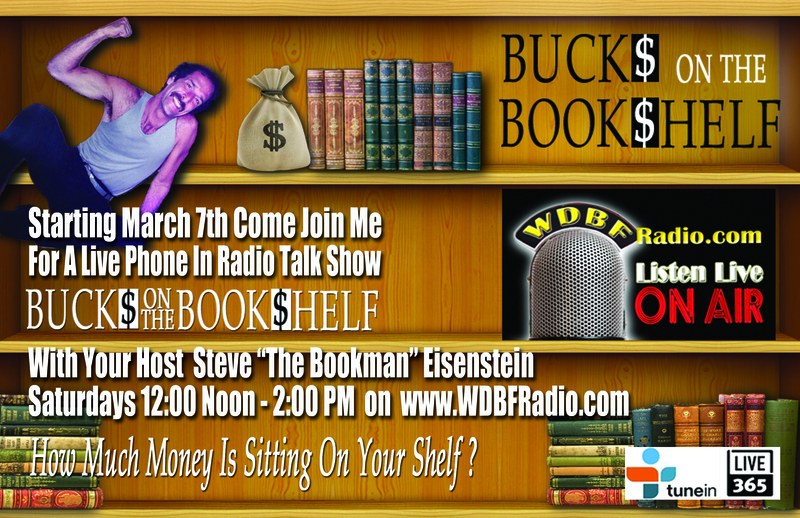 He and his lovely wife Shari have dedicated much of their time to promoting books, book shows, and bookmen. The guests and authors who have appeared over the last 20 years at Tom’s show is a “Who’s Who” of great writers, including many mystery and science fiction authors, publishers, and illustrators. If you have never had the fun of going to Tom’s show, usually held in the spring, do yourself a favor and make it a point of attending. So to Tom and Shari: Thank you so much for your support and friendship ! 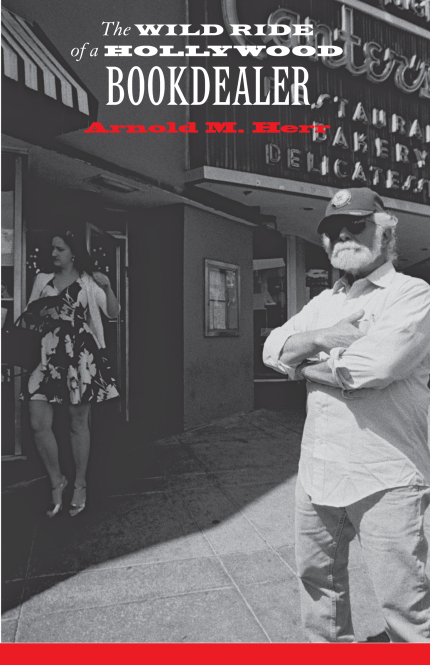 Now to start – Check out Arnold Herr’s new book, “The Wild Ride of a Hollywood Bookdealer.” This is the funniest book on books and booksellers you will EVER read. Arnold Herr’s classic hilarity has until now been circulated among book dealers in their secret newsletters, or printed out on the backs of old flyers and passed hand-to-hand like a Tijuana bible. So here it is folks, for the world to see, read, and laugh until your stomach hurts and tears are streaming down your homely mug! Stop whatever you are doing today and order the book from the publisher, Poltroon Press, because nothing in the entire world is better for you right now then enjoying these stories.